Our comic book is made out the back of a recycled envelope! Great for using in scrapbooks and lapbooks! NB: When using our printable booklets, keep the printed side of the paper face up. I find it easiest to fold the booklets if I keep the "front page" at the top right hand side of the paper. 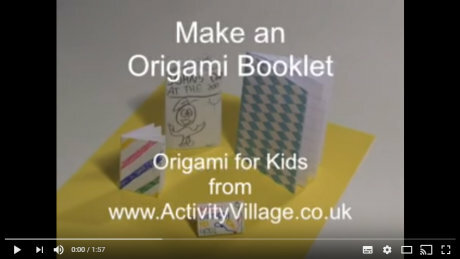 Describing the process is harder than actually folding the booklet - just give it a go!